After an early breakfast at Sumilon Bluewater Island Resort, we were in for whole morning of resort-sponsored tours over at Oslob – whale shark (butanding) interaction, Tumalog Falls and the Municipal Heritage Park. 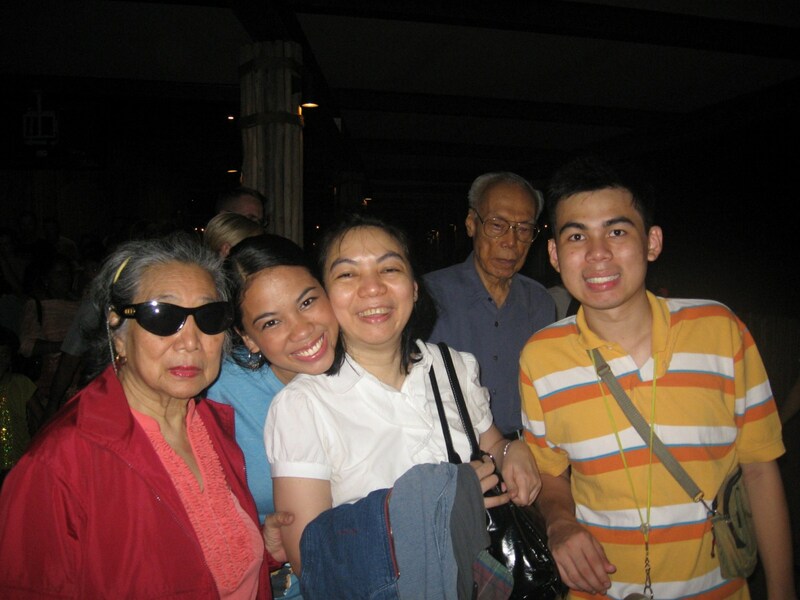 At the resort wharf, we again boarded the Jeffrey (the same boat that brought us in) that would take us to Brgy. Tan-awan in the mainland ((10 kms. away from the center of the town), where whale sharks converge. The boat trip took just 10 mins. and, near the shore, we transferred to a small outrigger boat that brought us to shore. Before we could start our butanding interaction, we first had to go first to the briefing area where we registered ourselves and attended a short but straightforward 15-min. orientation on the do’s and dont’s. You can swim with the whale sharks but should be 4 m. away from it and not ride them (there is a fine of PhP2,000 or you can go to jail) and for those who would like to swim with it, they should wash off their sun block lotion as these have chemicals are harmful to the whale sharks. If you worry about getting burned in the sun while doing the activity, better wear rashguard. Pictures can be taken underwater by one of the divers assisting the activity but no flash photography is allowed as whale sharks are sensitive to light. After this short briefing, we all returned to our boat and, just about 200 m. from the shore, the butandings were already visible. We all donned our snorkel and masks and jumped into the water. Most of the time, the whale sharks just hang around in the water, tilting upwards at 45 degrees, with their mouths wide open as men on boats throw krill down their throats. It was a bit scary at first, considering how big they were and how close they were to us, but we had nothing to fear. A number of butanding came near me and one actually brushed under me. Any fear is eventually replaced with amazement after seeing how gentle these majestic creatures were. It was an unforgettable experience and words are not enough to describe how wonderful (and frightening for some) it is. The exhilarating and unique experience of having one of these truly amazing, gentle juvenile giants not only swim close by, but actually brush past me is one I’ll take with me to my grave. Oslobanons are happy and grateful to the whale sharks as they have given them an unexpected and better income. However, the idea of feeding the whale sharks on a daily basis can be disruptive for the sharks’ nature of searching for their food. Added to that, as too many people are around at any given time, you also have to be constantly on your guard as you have to dodge boats that can run over you. Their guidelines are also good in theory and are monitored by a marine biologist but they are almost impossible to police. The 4 m. required distance between man and shark is also impossible to keep as there are so many swimmers and sharks. For me, the jury is out on whether this is sustainable. 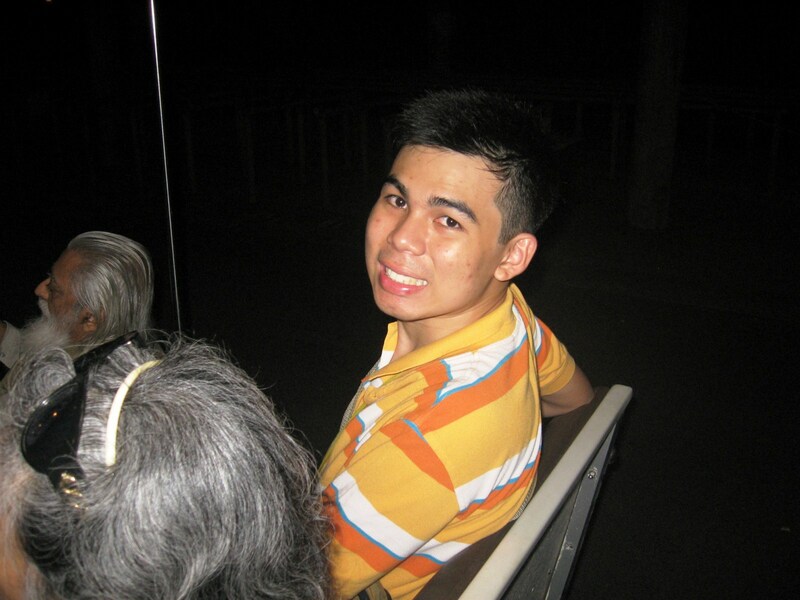 Oslob Whale Shark Watching: Brgy. Tan-awan, Oslob 6025, Cebu. Mobile number (0925) 897-8687. Open daily, 6:30 AM to 12 noon. Rates: PhP500/30 mins. interaction (whale shark watching + snorkeling), PhP300 if you just want to stay in the boat (whale shark watching). An underwater camera can rent for PhP500 and the boatman can be your photographer as well. If you don’t have a memory card, they charge another PhP50 (the pictures were then transferred to our own memory card). Upon landing at Tagbilaran Airport, we were welcomed at the terminal by our local tour guide Mr. Josue Hinay of Travel Village and Tours. 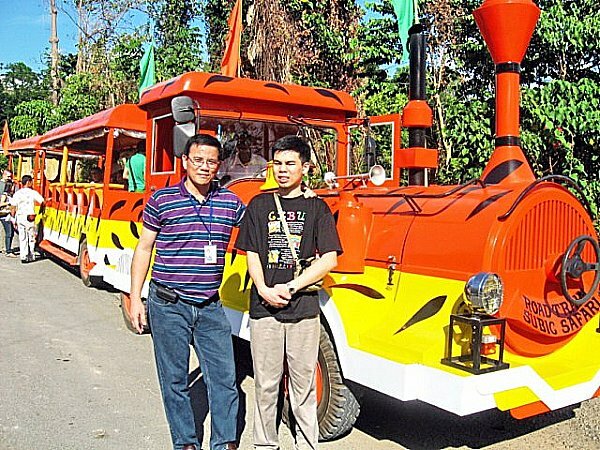 Boarding our airconditioned coaster, we proceeded on our scheduled Countryside Tour of Bohol. After a 30-min./10 km. 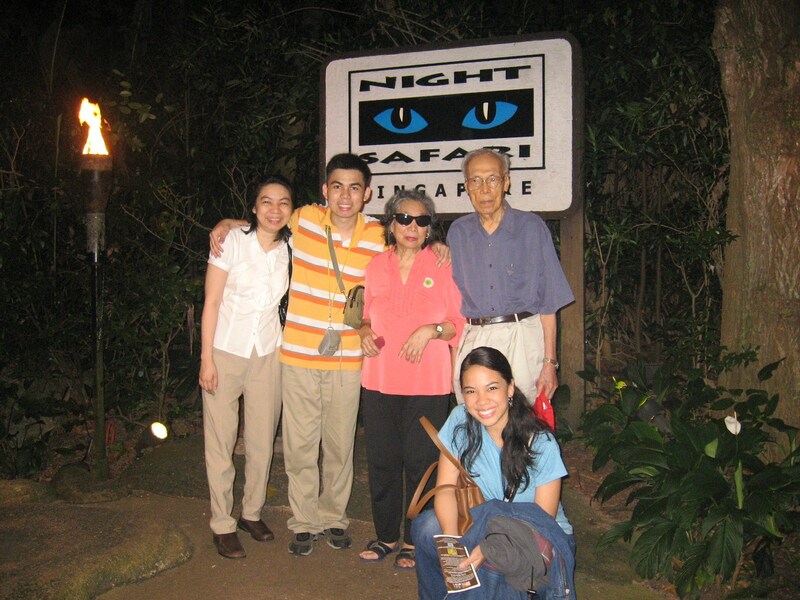 drive northeast of the city, we arrived at the 7.4-hectare Philippine Tarsier and Wildlife Sanctuary. An arm of the Philippine Tarsier Foundation, Inc. (PTFI), the sanctuary was established in 1996 to protect the tarsier (Tarsius syrichta), Bohol tourism’s mascot. Known locally as mamag, mago, magau, maomag and magatilok-iok, here the tarsiers are allowed to live and reproduce freely in a natural setting. The tarsiers, formerly hunted down, captured and then sold to local and foreign visitors, were declared to be specially protected faunal species of the Philippines by virtue of Proclamation No. 1030, as declared by former Pres. Fidel V. Ramos on June 23, 1997. A 167-hectare sanctuary has been set up in areas within Corella, Sikatuna and Loboc towns where numerous sightings of the tarsiers have been made within their forested domain. Poaching, killing and even wounding of these tarsiers as well as the destruction of its declared habitat are strictly prohibited. Alighting from our coaster, we made our way to the Tarsier Research and Development Center which has a visitor’s center complete with a reception and souvenir counter, an exhibition area, an audio-visual room, a mini-cafeteria, toilets, and administration offices. Here, we were assigned a trained volunteer guide who led us through a net enclosure with a 7-ft. high fence (to keep house cats out and the insects in) where 100 tarsiers are kept for feeding, breeding and display. Here, we saw and observed, up close and personal, three of them in their nature habitat which consists of mature secondary growths of mahogany, teak and ficus trees as well as many varieties of palm, fern, bamboo clumps, tall grass patches, thick bushes and other greenery which grow in profusion. We were allowed to take pictures but were urged to do so quietly and not to handle them so as not to put stress on these nocturnal animals who, during daytime, are asleep. 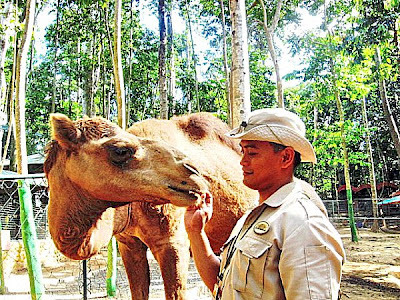 Back at the Visitors Center, Josue introduced us to Carlito “Lito” Pizarras, the Field Supervisor of the sanctuary. Known as the “Tarsier Man,” Lito once hunted tarsiers for a living, shooting them out of the trees with an air rifle or trapping them for his father, a taxidermist who augmented the family income through the sale of the preserved, stuffed tarsiers which, at that time, went for PhP300. He also caught them alive for collectors, hobbyists and tourists by simply shaking the trees until the tarsiers fell. Sometime in the 1970s, Lito gave up his air gun, formaldehyde and the other awful tools of his trade, devoting the rest of his life in trying to save this exotic mascot of the Philippines’ receding tropical forests. He has since become an enthusiastic environmentalist and conservationist and, when he noticed their receding numbers, he began keeping several of the tarsiers at the backyard of his residence in Corella, breeding 20 of them successfully. In 1985, he sent 10 live tarsiers to the Chicago Zoo in the United States and, in 1998, he was hired by the foundation, maintaining the net enclosure and serving as a resource person and guide to visitors and researchers at the Research and Development Center. When the UK’s Prince Charles visited Manila on July1997, Lito made a symbolic presentation of a pair of tarsiers to his Royal Highness at Malacañang Palace. Tarsier Research and Development Center: Km. 14, Brgy. Canapnapan, Corella, 6337 Bohol. Mobile numbers: (0927) 541-2290 (Program Manager). 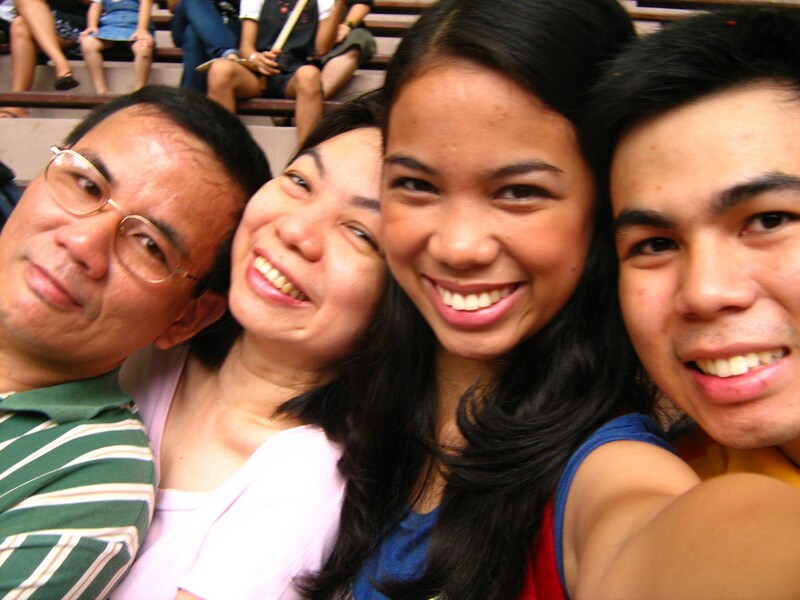 E-mail: joanniemaryc@yahoo.com. Website: www.tarsierfoundation.org. Tagbilaran City, Bohol. Tel (038) 411-4023 and (038) 501-8078. Fax (038) 411-5928. Website: www.boholtravelvillage.com. After our brief rest stopover at El Pescador Beach Resort, we proceeded to the Bolinao Marine Laboratory (BML), the official marine station, started in 1983, of the Marine Science Institute (MSI), University of the Philippines.The BML, located 2 kms. from Bolinao town proper, has a main laboratory building (with research lab and classrooms), administration building, staff houses, dormitories and a land-based hatchery. A venue for research work, BML also aims to be a focal point for extension activities involving the municipality and the various communities inhabiting the coast; serve as an educational exhibit center for research activities on marine science; to offer direct service to the local community in the form of environmental education programs and; to assist in the formulation of coastal management plans for the municipality. 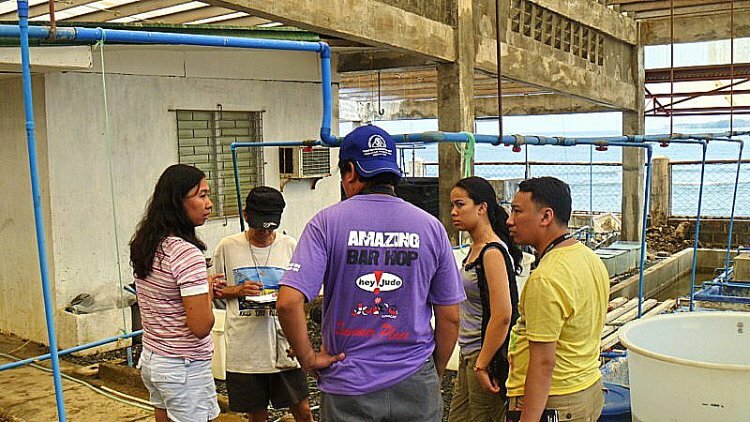 At BML, we observed the laboratory’s propagation of the endangered giant clam (Family Tridacnidae), sea urchins and certain species of sea cucumbers through grow out culture and sea ranching. The sea cucumber Holothuria scabra, one of the most expensive if not the most expensive in the market, are, once bred, are then planted in research pens in Santiago Island. Sea urchins (scientific name: Tripneustes gratilla), locally called uni, have been overharvested by fishermen in the 1980s and 90s for the Japanese market. These too are bred, fed with processed sea weeds (sargassum) in a hatchery and re-seeded. BML also does habitat restoration (e.g., coral transplantation) and sets up marine protected areas for coral and sea grass conservation. 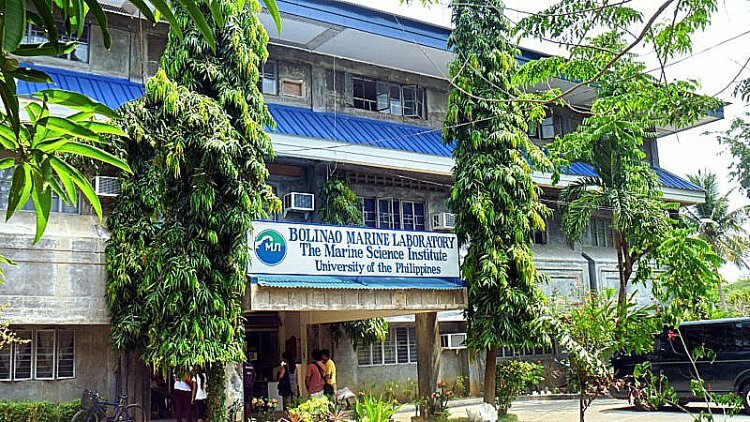 Bolinao Marine Laboratory: U.P. Marine Science Institute (MSI), Brgy. Luciente 1, Bolinao, Pangasinan. Tel: (075) 541-8022 ext. 102. E-mail: chin445@yahoo.com. After our brief sojourn in Batac City, we next proceeded to the Malacanang Ti Amianan (Malacanang of the North) in Paoay. Along the way, we made a brief stopover at the view deck of Paoay Lake National Park. This 470-hectare, horseshoe-shaped lake, the largest in the province, was declared as a National Park on June 21, 1969 by virtue of Republic Act No. 5631. 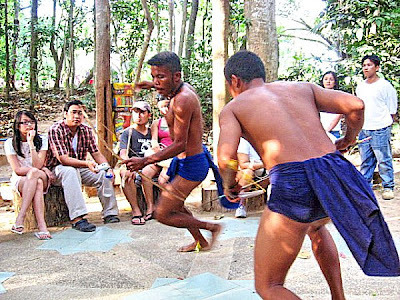 Once known as Naguyudan, it is known to the locals as Dakkel a Danum and is a popular picnic site. 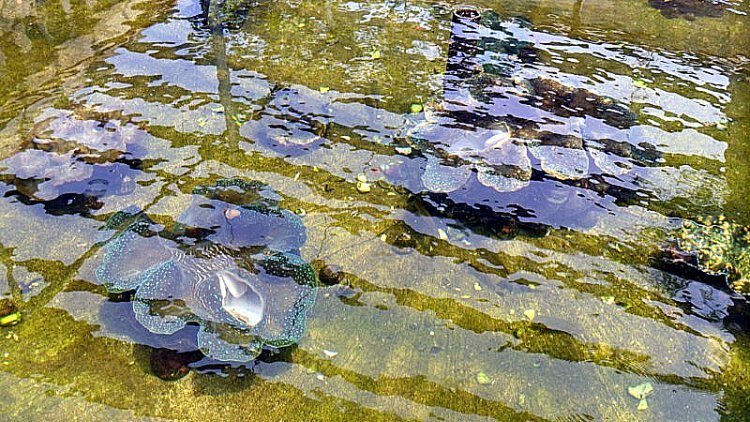 The lake is artificially seeded with various species of colorful fish and is 10 m. deep, yet the surface is below sea level. Its fresh water comes from a subterranean source. According to a charming but Sodom and Gomorrah-like legend, it is said that a once-prosperous town, San Juan de Sahagun, once stood where the lake is now. The materialism of the town and the indolence of its people incurred God’s wrath, so he sent an earthquake and flood waters that swallowed up the town and formed the lake. Town elders will tell you that the original townsfolk, in gaudy fiesta finery, can still be seen as colorful, transformed fishes swimming around with earrings and bracelets. Geological studies indicate that the lake was formed by a massive earthquake that caused the ground to sink and be filled with water from underground springs. The lake is ideal for bird watching Common residents here include the endemic Philippine Duck (Anas luzonica), the White-Collared Kingfisher (Halcyon chloris), the White-Throated Kingfisher (Halcyon smymensis), the Brahminy Kite, cattle egret and little egret. Migratory birds that linger for a while here include the Tufted Duck (Aythya fuligula), the Grey Heron (Ardea cinerea), great egret and the osprey. Cottages (PhP50) can be rented at the viewing deck. Paoay Lake is located north of Paoay town, 3 kms. off the main highway and 3 kms. from the sea. After having our fill of Peking Roast Duck at the Original Quanjude Restaurant, we returned to our coach and proceeded to the Beijing Zoo where we were to have our first face-to-face encounter with the Giant Panda, an emblem of China, at the Asian Games Panda House. 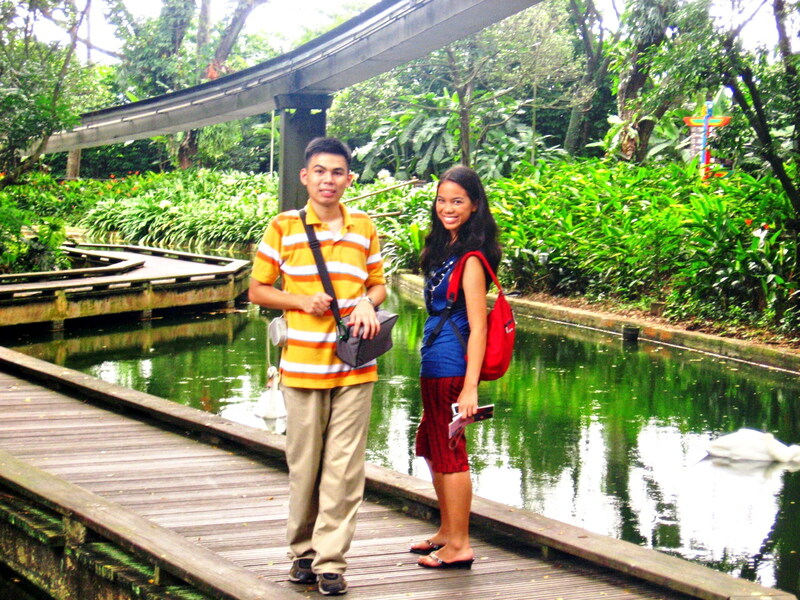 We entered the Zoo’s East Area where the pandas, big cats, bears, small mammals, pheasants and waterfowl are housed. The over 10,000 sq. 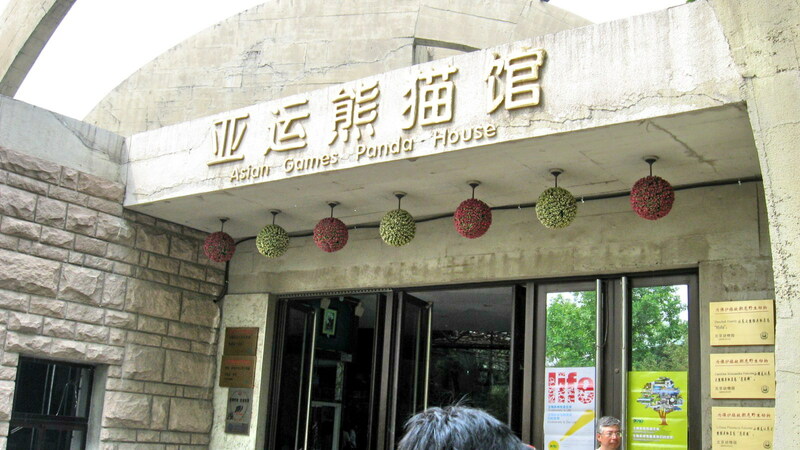 m. Asian Games Panda House, built in 1990 for the 11th Asian Games, currently houses 5 pandas, the youngest being 2 years old. The Giant Panda Hall is designed on a circular pattern inspired by the Tai Chi symbol. The interior has area of 1,452 sq. m. and there is an additional 2000 sq. m. of outside “playgrounds” for the pandas with trees, climbing structures, and lots of places to lean back and enjoy a snack. 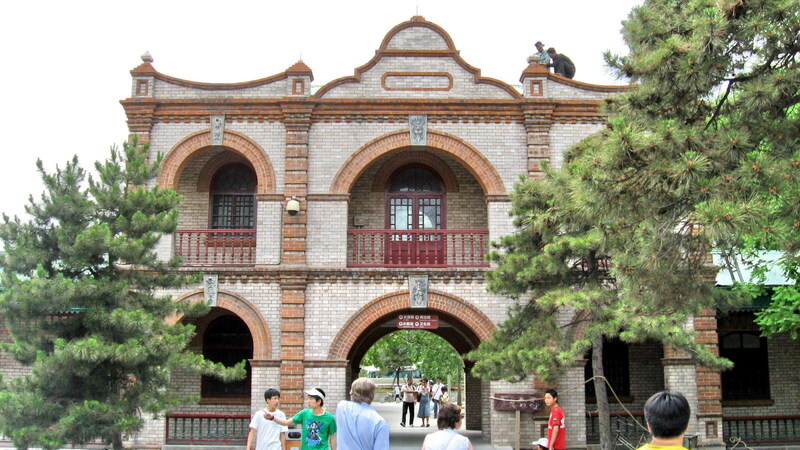 The main part of the house has a bamboo-shaped structure, entered from the southeast side and exited from the northwest, with 11 semicircular arch rings (representing the 11th Asian Games) surrounding it. There are 3 exhibition rooms around the central hall. The center also has rooms for isolating, medical treatment, fresh bamboo, deliveries, food making and TV supervision. 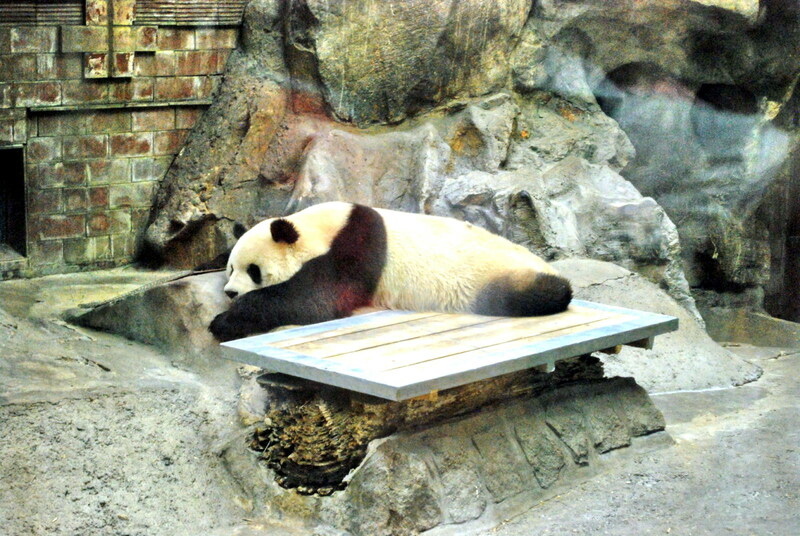 The outdoor sports ground has wooden perches and recreational facilities for pandas. Bamboo is grown around the Panda House. 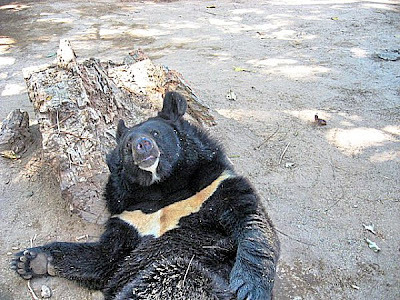 The Giant Panda (Ailuropoda melanoleuca) is a bear easily recognized by its large, distinctive black patches around the eyes, over the ears, and across its round body. 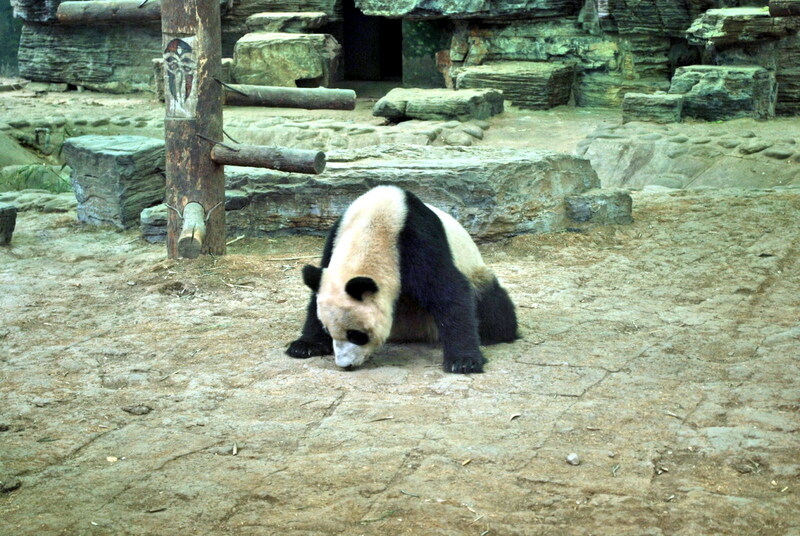 Though it belongs to the order Carnivora, the Giant Panda’s diet is 99% bamboo. Other parts of its diet include honey, eggs, fish, yams, shrub leaves, oranges, and bananas when available. 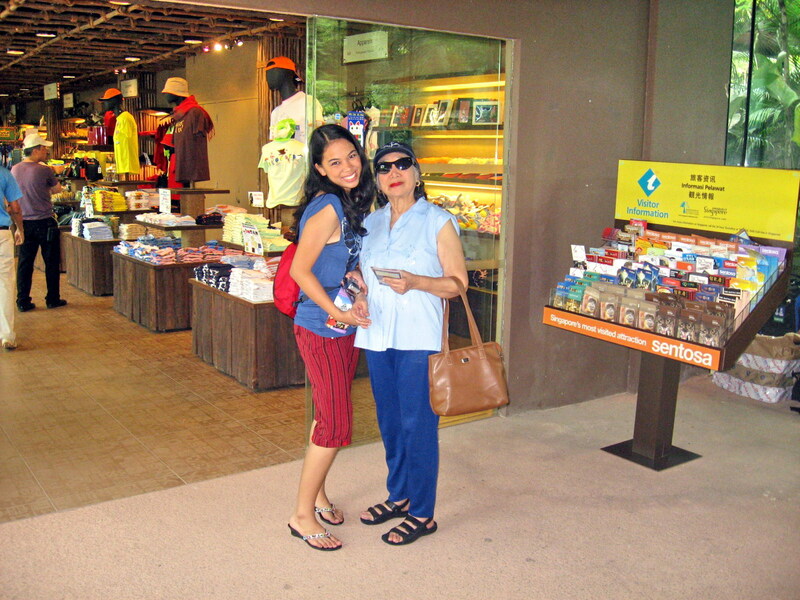 We decided to spend our second day at Singapore all day at the fresh and interesting Jurong Bird Park, a first for all of us. 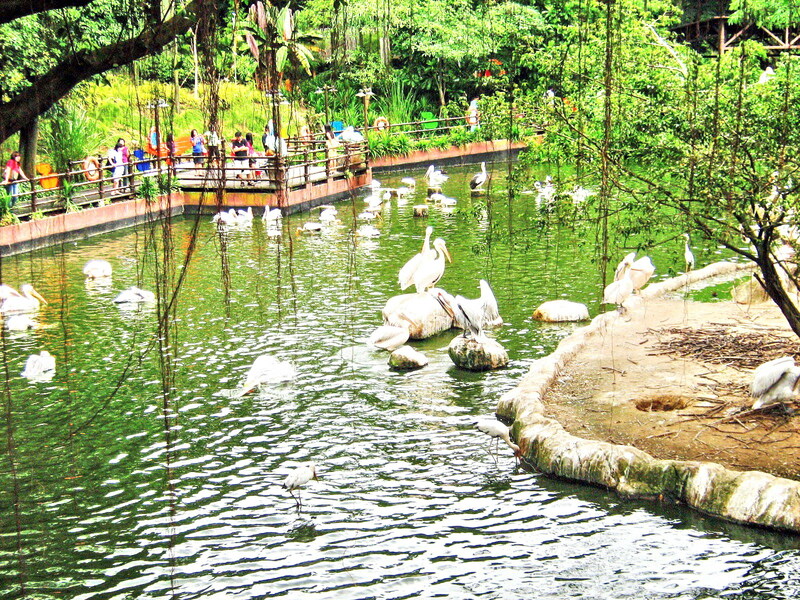 At first glance, I did not think that a park with just birds would interest me (that’s why I didn’t go there during previous visits to Singapore), but I was to be proven wrong. Again, the park being very far from the city, we all went there (and returned) via 2 taxis, arriving there by noon after a 20-min. trip. 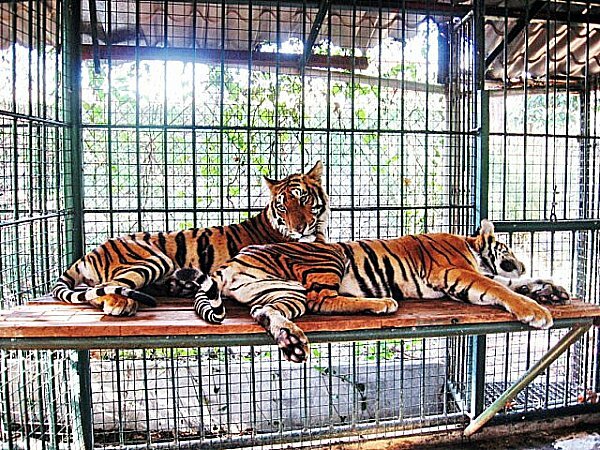 Managed by Wildlife Reserves Singapore, this world-famous S$3.5 million, 202,000 sq. 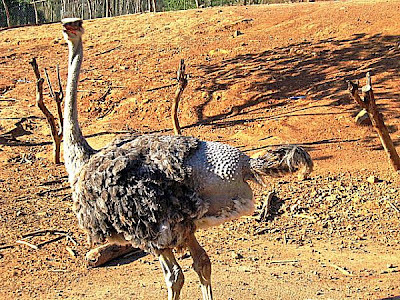 m. (50 acre) bird zoo and landscaped park, built on the western slope of Jurong Hill, within the Boon Lay Planning Area of the Jurong District, was opened on January 3, 1971. 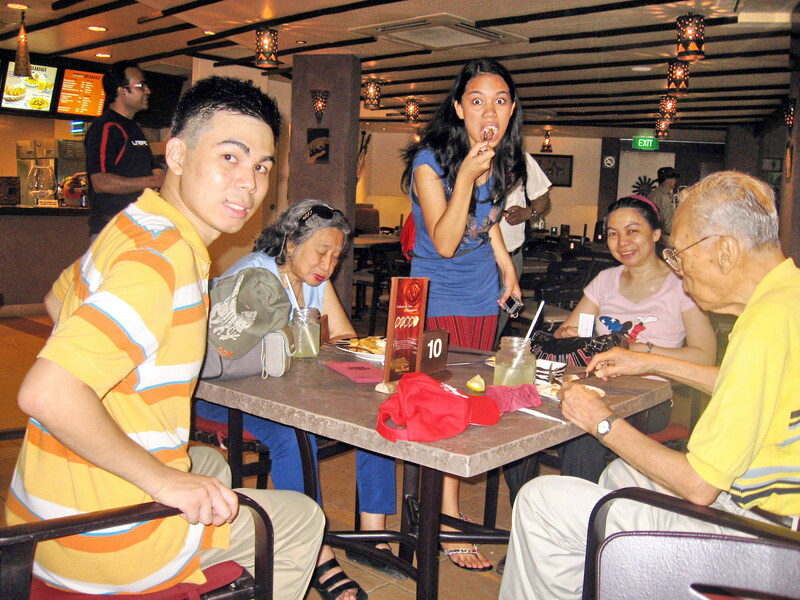 In 2006, it completed its S$10-million makeover. The well-maintained Jurong Bird Park, currently the world’s largest bird park in terms of number of birds and second largest in terms of land area, after Germany’s Vogelpark Walsrode, is home to an impressive collection of 4,600 exotic birds of 380 species, (29 of which are endangered) from South East Asia, Africa, South America and Australia. 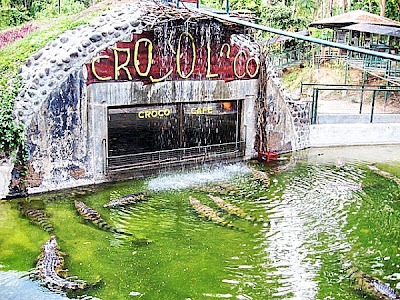 Some exhibits are fully open (Flamingo Lake, Swan Lake and Pelican Cove), some are cage-based (Parrot Paradise) and 4 are large walk-in aviaries. 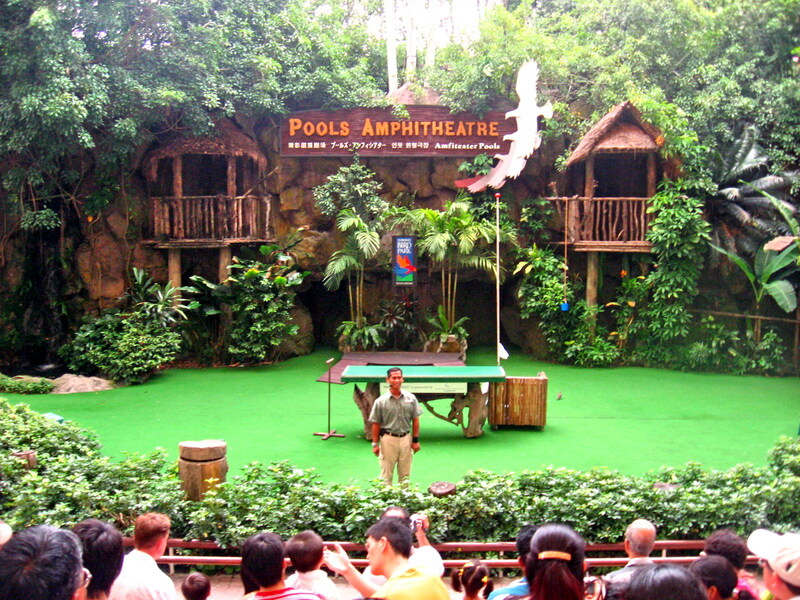 Upon arrival, we opted to first watch the 1 PM Birds and Buddies Show (formerly called the “All Star Birdshow”) at the Pools Amphitheater. This lively and entertaining, 25-min. 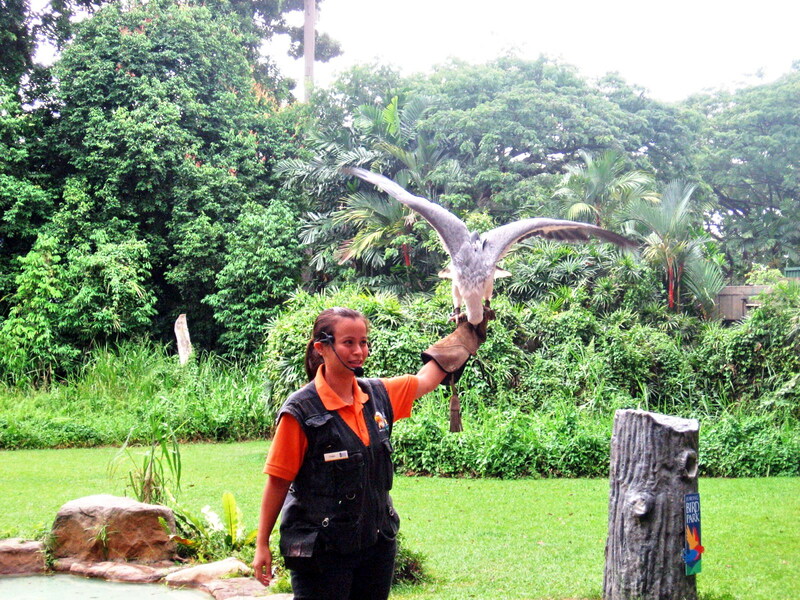 bird show, professionally presented with an environmental message, showcases a large number of species of performing birds, trained to such amazing levels, interacting with humans in a single act. 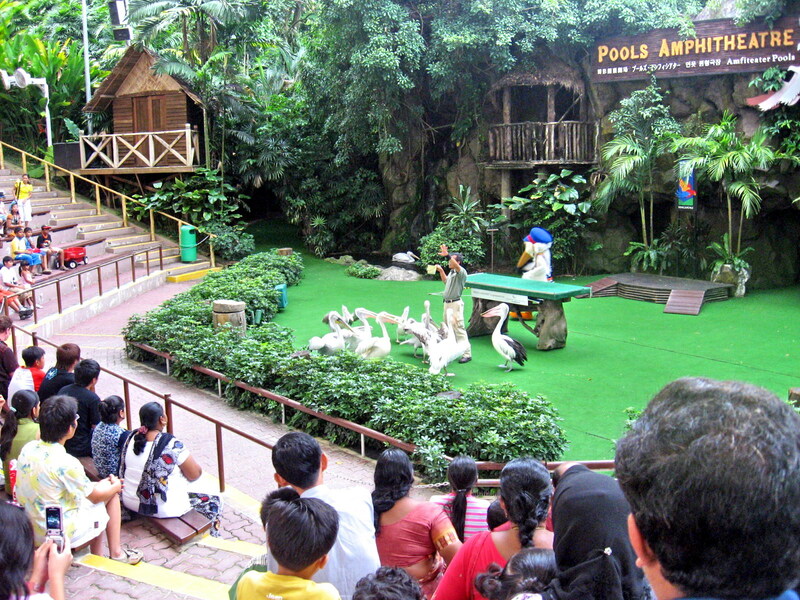 During the show, we were enthralled by the antics of talented birds like the mimicking cockatoos, parrots and macaws singing , playing basketball, doing stunts etc.. We liked it so much, we attended the second show at 3 PM, also at the same venue. In between these 2 Birds and Buddies Shows,Jandy, Cheska and I climbed up a couple of flights of stairs and hopped aboard the relaxing, airconditioned Panorail (S$5), the world’s only monorail that runs through an aviary. We dropped off at the Lory Station were we visited the 3,000 sq. m. (32,000 sq. 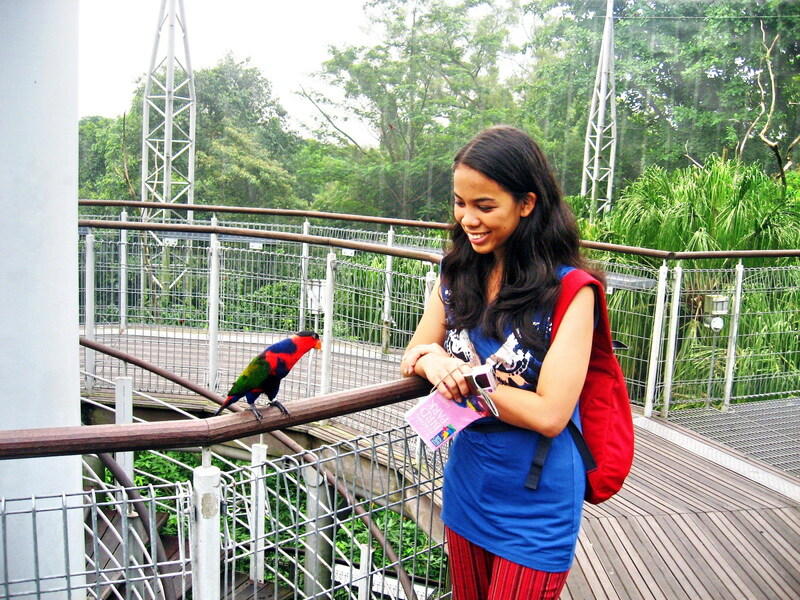 ft.), 9 storey high Lory Loft, the world’s largest walk-in flight aviary for stunningly colorful lories and lorikeets. 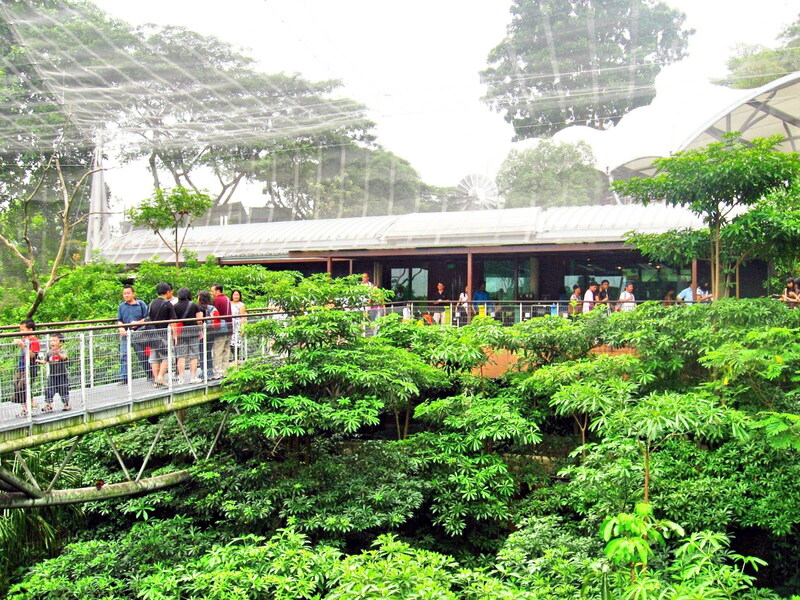 Here, we walked on suspended bridges at tree top level, surrounded by over 1,000 free-flying lories. 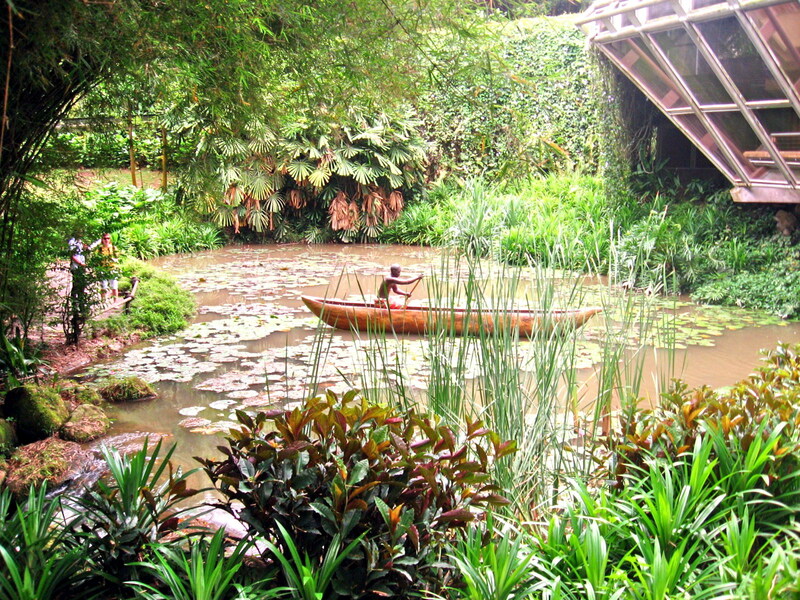 The ambiance here is said to be similar to that of a rainforest vale in tropical Northern Australia. Cheska, wanting an up close encounter, tried to offer the lories a specially concocted nectar mix in a little cup (S$3) so that the birds would flock to her. 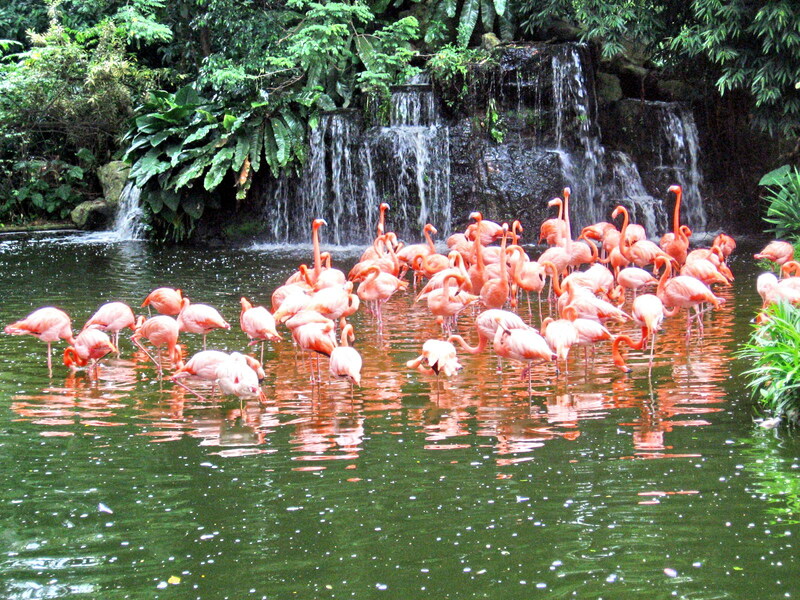 We also visited, on foot, the 32 aviaries (housing 92 species of parrots) and the interpretative pavilion at the 1-hectare Parrot Paradise; the impressive colony of 1,001 roosting, flamboyant flamingos at the beautifully-landscaped Flamingo Lake; and Pelican Cove. At Pelican Cove, we observed a cosmopolitan colony of all 7 species of pelicans, including the endangered, 11-15 kg. Dalmatian pelican (the largest of the 7), while strolling along a boardwalk. However, we failed to catch them at the world’s first underwater viewing gallery for pelicans, where the birds scoop for fish at feeding time. Next to Pelican Cove is Swan Lake where, from an observation deck close to the water edge, we observed, at close quarters, graceful Black-necked Swan, Black Swan and the Mute Swans roosting, fishing, bathing and swimming amidst the tranquil ambiance. Jandy and I again hopped aboard the Panorail and dropped off at the Waterfall Station where we visited the African Waterfall Aviary, the world’s largest walk-in aviary with more than 1,500 free-flying birds from over 50 species from Africa. Species here include the golden-breasted starling, turacos, bee-eaters and the hoopoe. Here, the birds tend to stay further away and we needed to move slowly round the jungle landscaped paths to avoid spooking them. 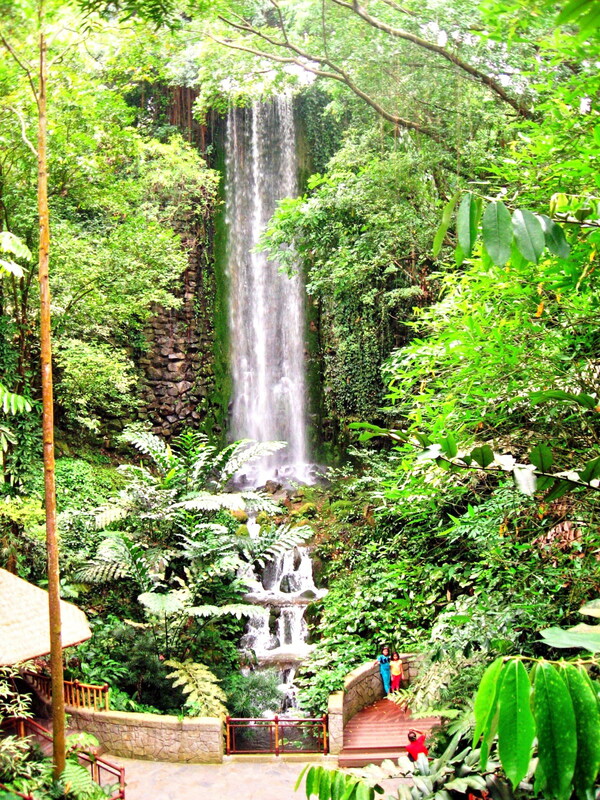 Later, we met up with Mom, Dad, Grace and Cheska at the 30 m. high Jurong Falls, the world’s tallest man-made waterfall in an aviary and a popular photo-ops. At 4 PM, we watched the Birds of Prey Show at the Fuji Hawk Walk. Here, we watched majestic birds of prey such as eagles, hawks, vultures and falcons fly in aerial loops and soar above, moving from one treetop to another. We also learned about falconry as these birds were put through their actions in a simulated hunt. The birds sometimes swoop just 6 inches from our head. 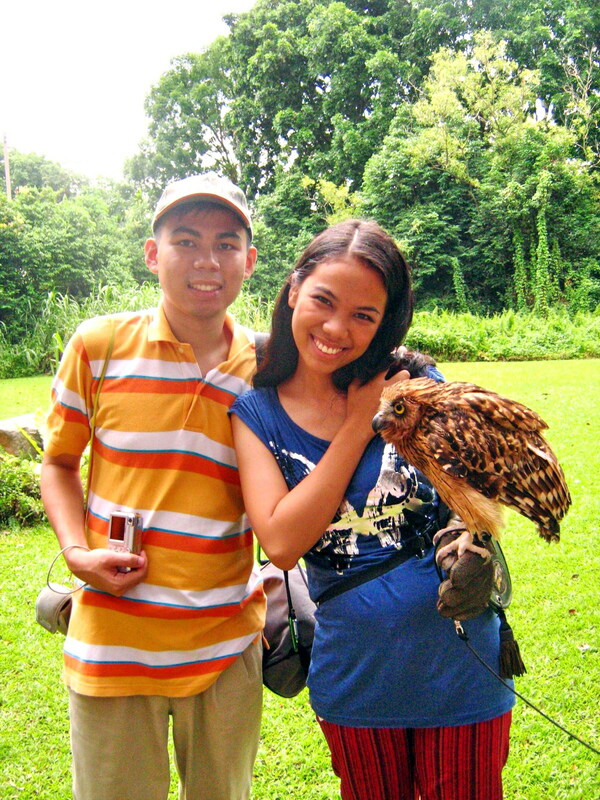 After the show, Cheska and Jandy had a cool time having their pictures taken with a live owl, first putting on gloves so that the owl can be transferred to their hands. After the show, we next visited the 1,600 sq. m. (17,000 sq. ft.) Penguin Coast which houses 6 species of penguins. Featuring a 21-metre (69 ft) tall Portuguese galleon facade designed to resemble a ship, the interior of Penguin Coast, a great place to escape to during a hot day and one of the few places where you can see live king penguins outside of Antarctica. Constructed with wooden beams and flooring, Penguin Coast has 2 displays, one indoor and the other outdoor. The Humboldt, Rockhopper, Macaroni, Fairy and King Penguins live indoors in a captivating, climate-controlled den while Jackass penguins, one of the few species that are adapted to the tropics, can be viewed, with Cape Shelducks and gulls, at an outdoor penguin enclosure. At 5 PM, we dropped by the 400 sq. 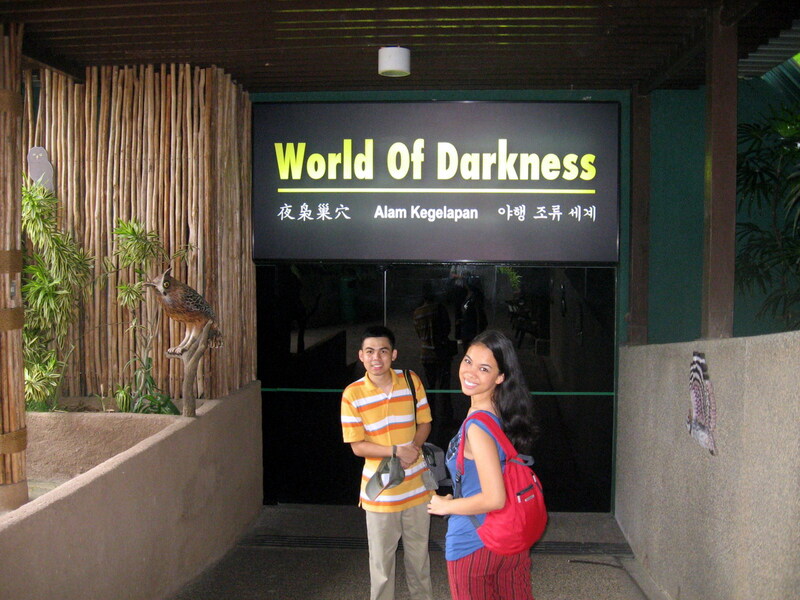 m. World of Darkness, Asia’s first nocturnal bird house, opened in April 1982. It features a system of reverse lighting, converting day to night and vice versa, thereby inducing night-active creatures to come alive during the daylight hours. It is akin to a quiet nocturnal walk along a starlit jungle path, watching birds in a simulated “moonlit” night and hearing them beckon. On display are 31 birds (mostly owls) from 9 species: Black-crowned Herons, Stone Curlews, Lesser Whistling Ducks (Javan Tree Ducks), Snowy Owls, Malay Fish Owls, Eurasian Eagle Owls, Barn Owls, Great Grey Owls and the Bobook Owls. Next, we dropped by the 800 sq. m. Royal Ramble where we had an unobtrusive view of the world’s largest pigeons. It has a 40 m. long walkway and 3 separate aviaries housing the 3 species of Crowned Pigeons found in the world (Common Crowned Pigeon, the Victoria Crowned Pigeon and the Scheepmaker’s Crowned Pigeon). Finally, at the 4,579 sq. ft. Dinosaurs Descendants we were greeted by a huge rock with a relief of feathers and ostrich eggs. 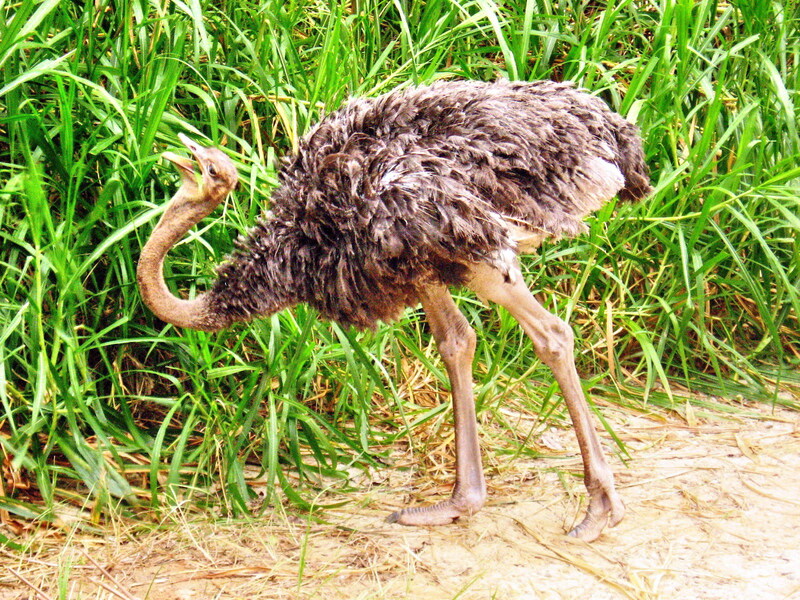 Here, we learned the similarities and intriguing facts which link ratites (flightless birds such as ostriches and cassowaries) to dinosaurs, amidst the simulated grassland habitats of these birds. Come evening, we dined at Bongo Burgers’ delectable but quite pricey choice of pure and lean patties in generous, American-sized servings. 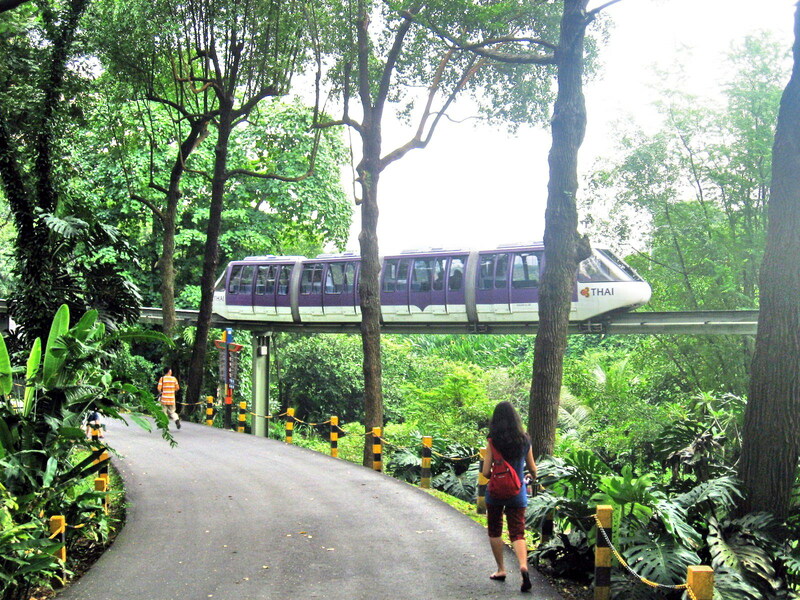 Jurong Bird Park: 2 Jurong Hill, Singapore 628925. Admission: S$18.00 (adults) and S$12.00 (children, 3 – 12 years). Tel: (65) 6265 0022. Fax: (65) 6261 1869. E-mail:info.jbp@wrs.com.sg. 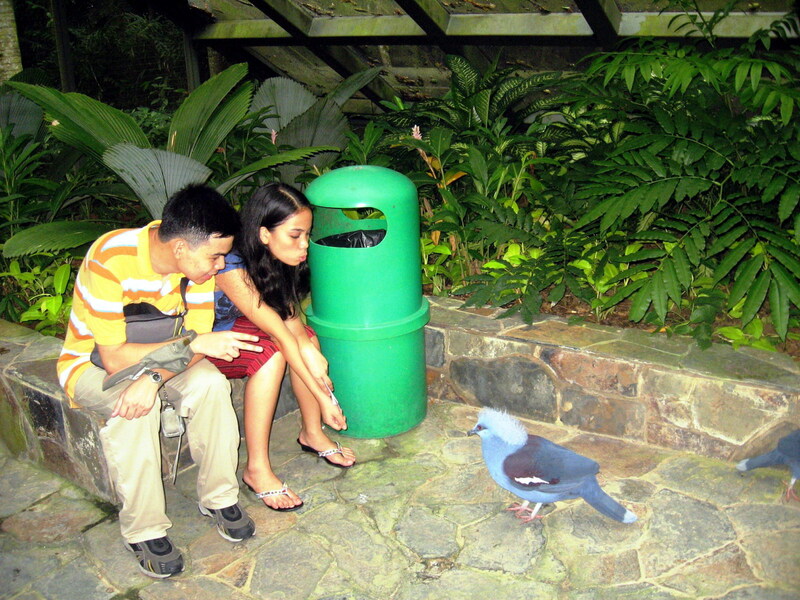 Website: www.birdpark.com.sg. Open daily, 8.30 AM-6 PM. After our hotel check in, we rested a bit before all leaving, via 2 taxis (a 30-min. 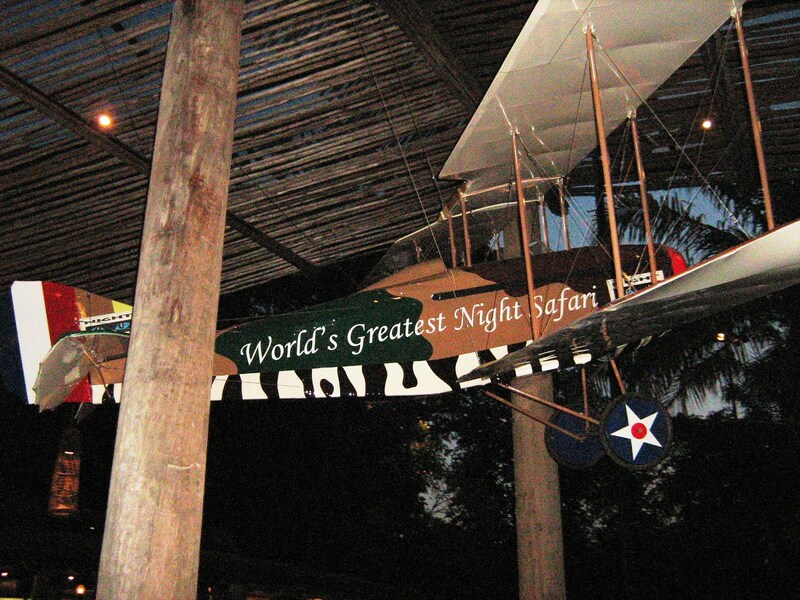 drive), for the world-famous Night Safari, the world’s first nocturnal zoo. The Night Safari opens at 7 PM, only after the zoo itself has closed for the day (6 PM) and, because it takes place at night, everything was dark and the habitats are only illuminated, if at all, by soft, indirect lighting that resembles moonlight. The paths between sites are very dark. 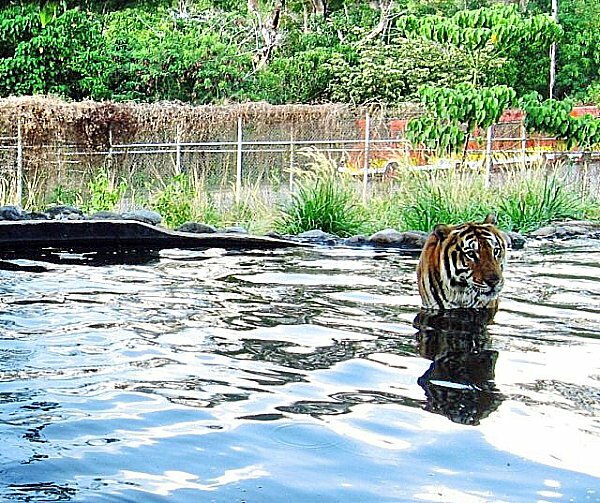 Built at a cost of S$63 million, the 40-hectare Night Safari, adjacent to the Singapore Zoo and Upper Seletar Reservoir and managed by Wildlife Reserves Singapore, was officially opened on May 26, 1994. It currently houses a total of 1,040 animals of 120 species (29% of which are threatened). We availed of the 45-min. night tram ride which took us past areas only accessible by tram, passing lots of wild South American and Asian animals roaming free in naturalistic enclosures that simulate the animals’ native habitat. On the first part of the trip, those seated on the right side of the tram had the best views (opposite on the second leg). Carrying anything too bright is prohibited, and pointing lights at the animals is not allowed. I wasn’t able to get pictures of the animals because it was very dark, and all flash photography is prohibited so as not to freak out the animals. We were dropped off at a “jungle station” where some explored, on foot, the walking trails to get a closer look at some of the animals. Later, we were picked up again for the second half. 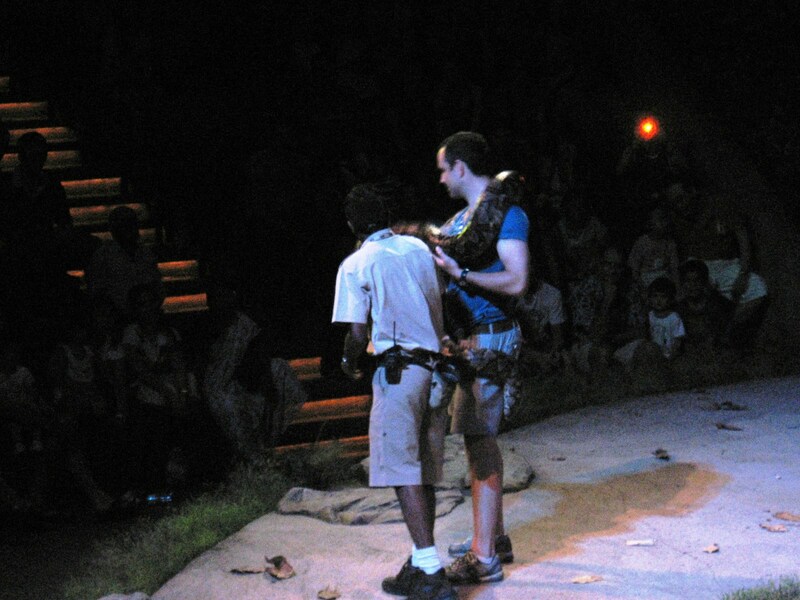 Later, we attended the “Creatures of the Night” animal show where we saw the animals in action. At one point, a night barn owl, on cue, swooped over the audience at hair top level. Back at the main entrance, we checked out the food and beverage outlets there for our dinner. Choices include very tasty satays, noodles, fish and even burgers offered by Ulu Ulu Safari Restaurant, Bongo Burgers and Ben & Jerry’s Scoop Shop. We decided on Bongo Burgers. 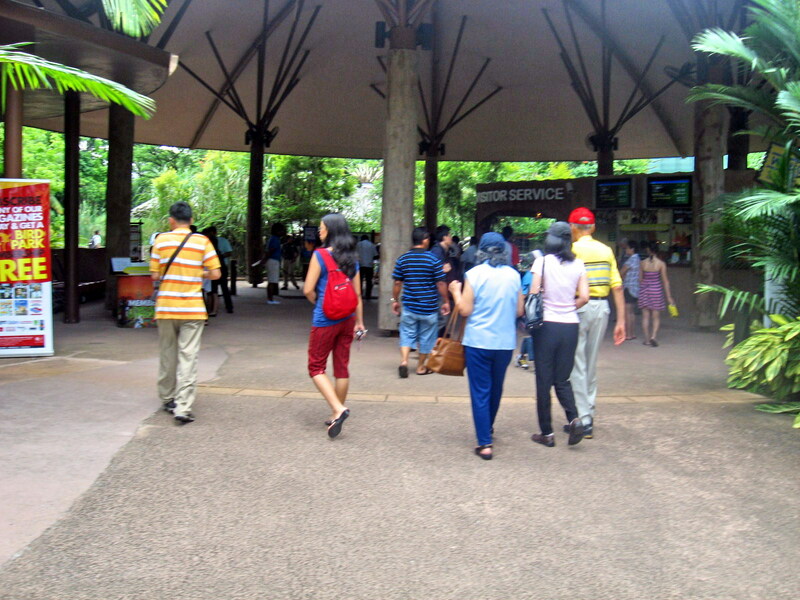 Singapore Zoo: 80 Mandai Lake Rd., Singapore 729826. Tel: 6269 3411. Website: www.zoo.com.sg. Open daily, 6 PM-12 midnight. Admission: S$22.00 (adults) and S$11.00 (children 3 to 12 years old).